MOOSIC, PA (June 12, 2018) - The Scranton/Wilkes-Barre RailRiders, Triple-A affiliate of the New York Yankees, are pleased to announce that on Saturday, June 30 the RailRiders will become the Scranton/Wilkes-Barre Teddy Bears as they take on the Pawtucket Red Sox that night at PNC Field. Not only will the team wear specialty jerseys as the Teddy Bears, but the night also marks the first-ever teddy bear toss held at PNC Field, presented by Magic 93. Fans attending that night are encouraged to bring a new stuffed animal to the game and throw it onto the field after the 4th inning. Fans who show up with a stuffed animal will receive a free lawn seat to the game. All stuffed animals will be donated to the Geisinger Janet Weis Children's Hospital and to the Ronald McDonald House of Scranton. "We are always looking for fun new ways to get fans involved in helping us better the community," said Josh Olerud, RailRiders Team President and General Manager. "What better way than having our fans participate in the first annual Teddy Bear Toss? Everyone loves a brand new teddy bear, and we can't wait to surprise the kids at Geisinger Janet Weis Children's Hospital and the Ronald McDonald House of Scranton with one." 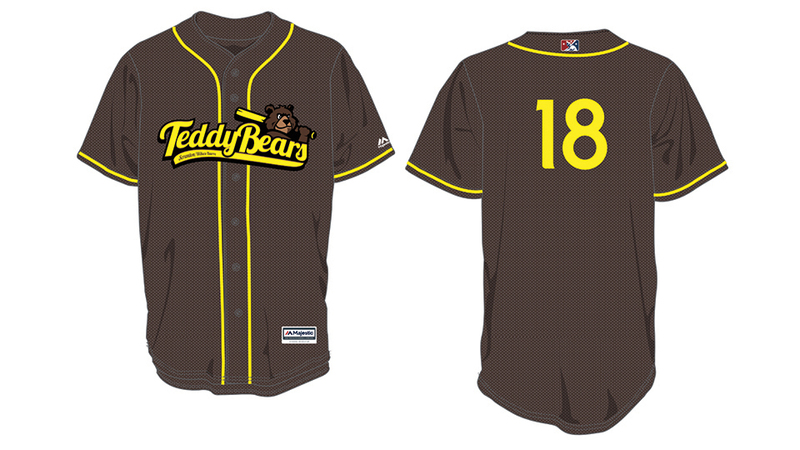 Gates will open that night at 5:00 p.m. for the 6:35 p.m. scheduled first pitch between the Teddy Bears and the PawSox. The jerseys worn by the team that night will be auctioned off to benefit the Pinstripes Foundation and the work they do in the Greater-Scranton/Wilkes-Barre community. Ricky Henderson will also be making an appearance that night for a Legends Series Meet and Greet and autograph session. The Ricky Henderson appearance is presented by Nasser Limousine and Mohegan Sun Pocono in conjunction with Steiner Sports. 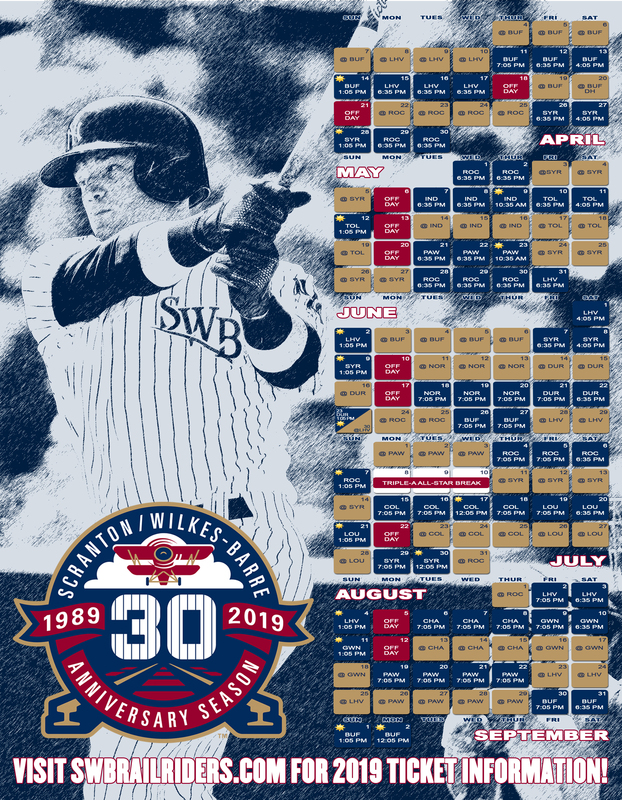 To purchase tickets for Saturday, June 30 or for more information about tickets for any other 2018 home game, please contact the front office at (570) 969-2255 (BALL) or head to www.swbrailriders.com.